Did you know that with the New Year 2.6 million people started a diet? And did you know that 92% of those 2.6 million are already off the wagon? I am not kidding, I was just reading an article about it. I know for experience that it is not easy to stick to a diet. I tried them all, Jenny Craig, Weight Watchers, Atkins, South Beach and so on. What throws me off is the idea of dieting itself; the idea that you have to constantly think about the food you can or cannot eat, the measuring, the fat, the sugars, the carbs. . . wow that is a job in itself! I finally told myself, I am Italian, from Southern Italy, my mom used to cook delicious food everyday and still, she looked great and definitely she was never on a diet, so what’s the secret? The secret is that healthy eating was a way of life, it was the way my mom grew up, it was part of her culture. The secret was what, in the late 1950, the American professor Ancel Keys defined as the Mediterranean Diet (Dieta Mediterranea). Professor Keys was with the Allied troops in Greece and then in Southern Italy where he noticed the absence of obesity and that the rate of heart attack was very low. He also noticed that the diet of these areas was completely different from the American diet. From these observations, professor Keys, later developed a full study around the Mediterranean Diet. The history of the Mediterranean cuisine is complex and connected to the people who lived on the coasts of this sea. The model of The Mediterranean Diet has its roots in the Ancient Greek which deeply influenced the Etruscan and Roman cultures. These cultures, in fact, cherished all products from agriculture, in particular wheat, olives and vines. The cuisine was distinguished by the use of vegetables, fish, fruit and dessert. These were then integrated by cheese and small quantity of meats. This diet soon clashed with that of the Barbarians which invaded Italy in the High Middle Age (around 560). The Barbarian populations were mostly nomads, their diet was primarily based on gaming, fishing and wild berries. They also bred pigs and used their meat, but also their fat. The cereals were primarily used for the production of beer rather than bread. This dietary style spread partially in the original Greek-Roman style. The regions in the North of Italy quickly adopted the new diet of the barbarians, while the populations of Central-Southern Italy were disinclined to these changes and remained faithful to their cuisine, maintaining their identity and originality. On November 16, 2010 the Mediterranean Diet has been recognized by the UNESCO as a virtuous model of health and intangible cultural World Heritage. The term “diet” (dieta) refers to the Greek etymon “diaita” or way of life (stile di vita). The recognition from the UNESCO is precisely the recognition of a set of practices, expressions, knowledge and skills, that have allowed the populations around the Mediterranean Sea to create, over the course of centuries, a synthesis between the cultural environment, the social organization and, the art of eating. The late addition of getting plenty of physical exercise and drinking red wine in moderation, makes of this ancient diet a true model of healthy and modern lifestyle. We can all try to stick to these simple guidelines and still eat flavorful foods – Italian of course! One of the secrets is to keep your recipe simple. My mom never used more than 5 ingredients in her recipes! Also use local, seasonal ingredients, watch for your portions, and take the time to really enjoy every bite of your meal. Every meal in Italy is a ritual, you sit at the tables with your family and you share the food but also the worries and the happy moments of your day. Let’s give it a try! 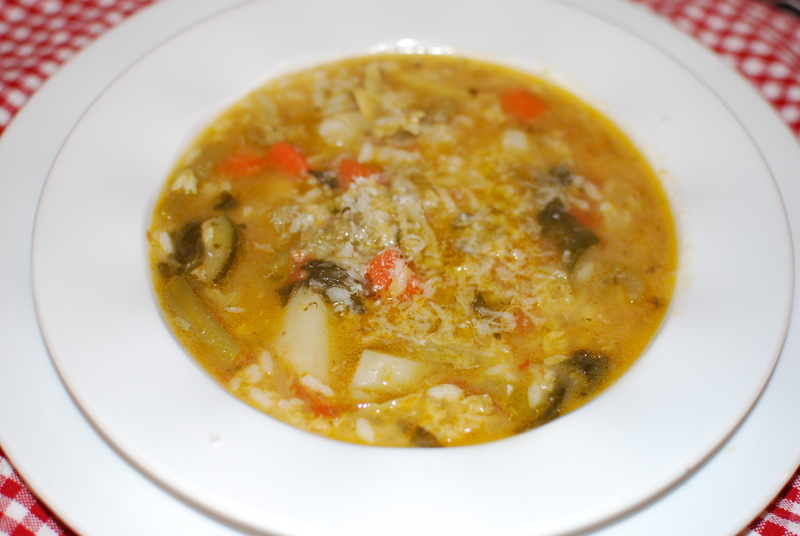 To get you started I will share the recipe of the Minestrone. 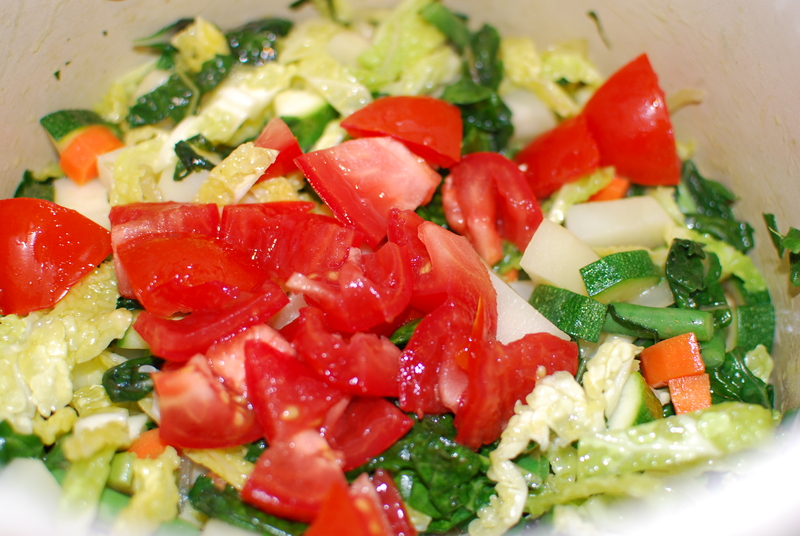 The Minestrone well represents the style of the Mediterranean diet. 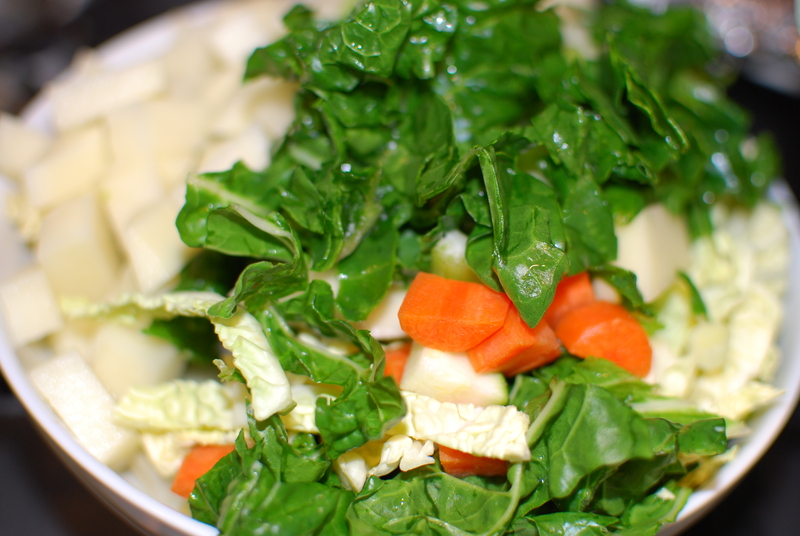 It is in fact a complete meal with its combination of fresh vegetables and greens, the use of beans, which provide the necessary protein, and small quantity of carbohydrates. You can opt to use small pasta (like ditalini) or rice. 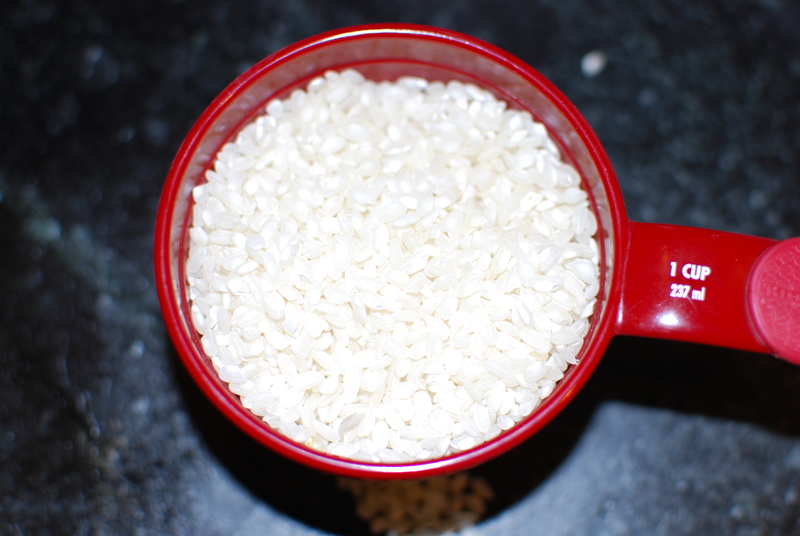 You can also use barley or farro. 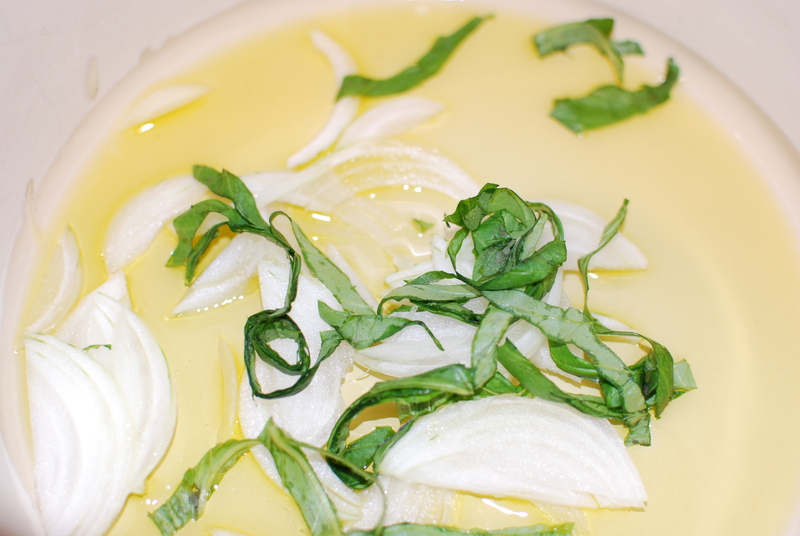 In a large pot heat 4 tablespoon of extra virgin olive oil and sautè the onion, and basil. 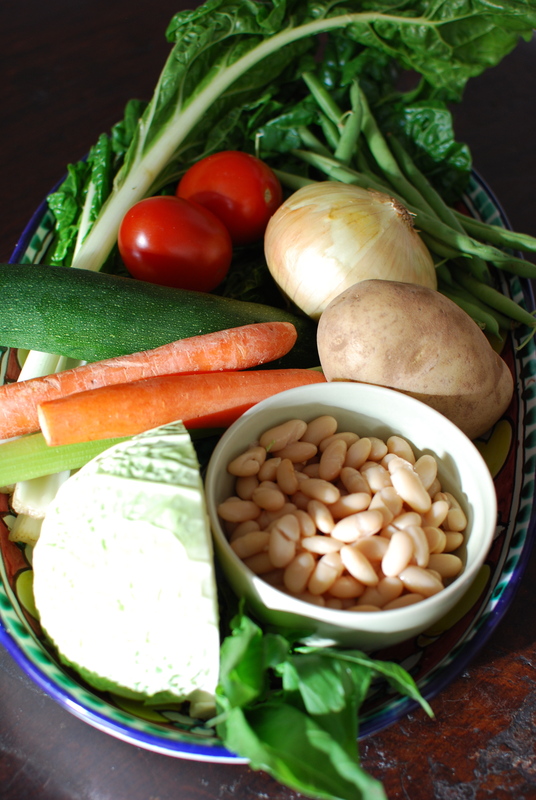 Let the onion softened and take a little color then add all the vegetables except for the tomatoes and the beans. Add salt and pepper, stir, cover and let cook on low heat for 10 minutes. Add the tomatoes and the water, stir, cover and let simmer for 2 hours. The next two steps are optional, they are my personal preference. 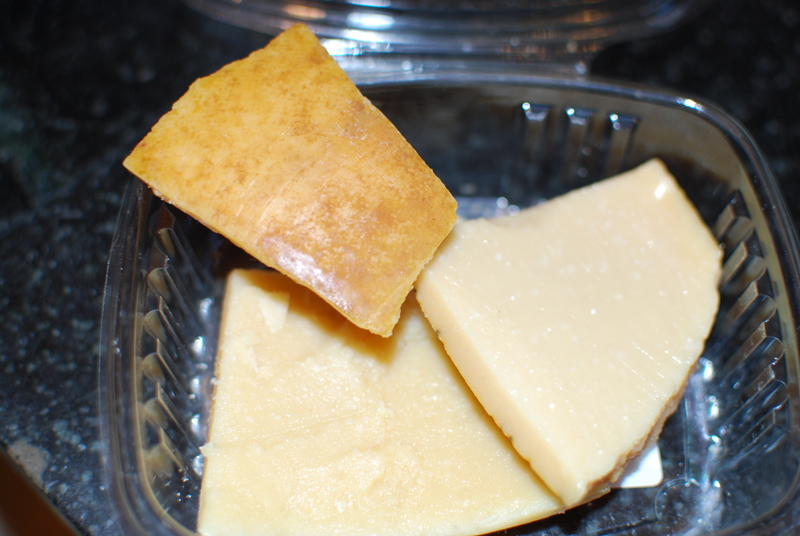 After one hour add the rinds of Parmigiano-Reggiano cheese, and continue cooking for 45 additional minutes. 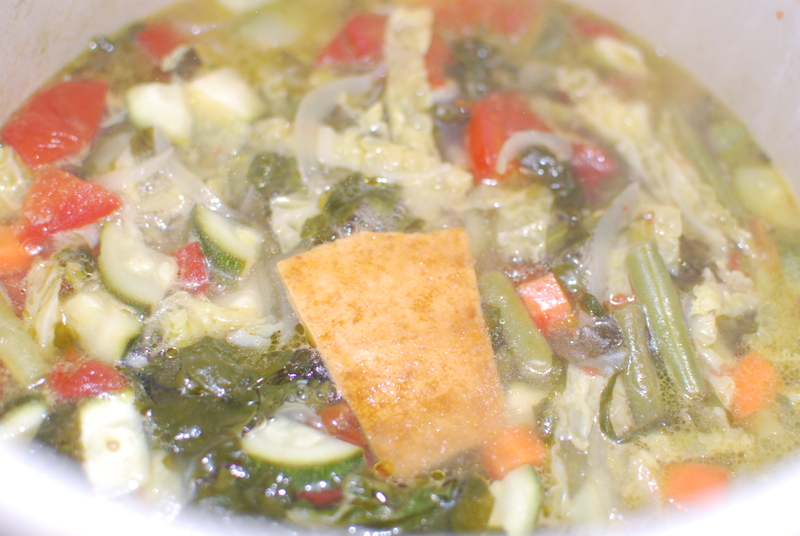 The cheese rinds melt and make the minestrone more flavorful. 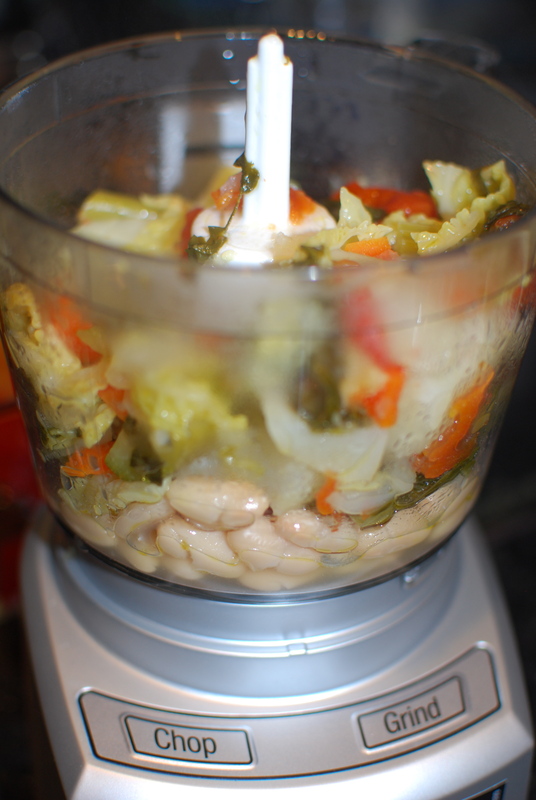 In the bowl of a food processor add half of the cannellini beans and 3-4 cups of the vegetables from the pot. 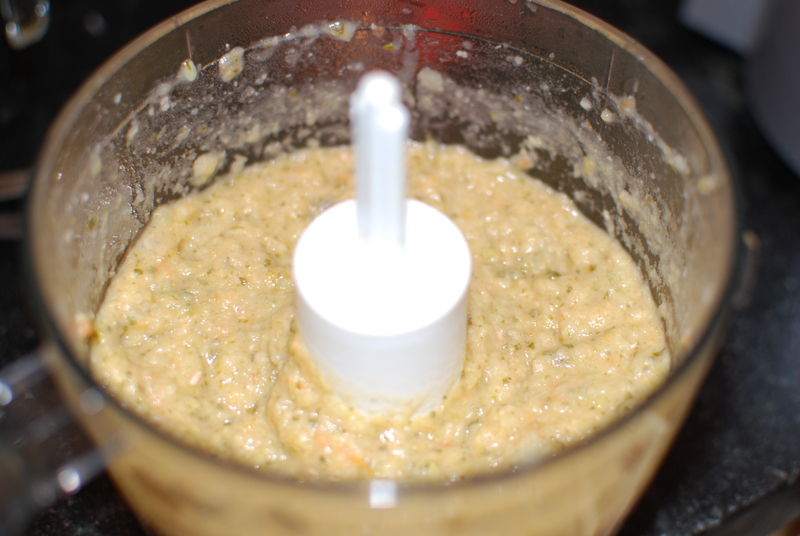 Run the food processor until you obtain a creamy mixture. Add the mixture back into the pot, taste for salt and pepper and add as needed. Cover and let simmer for additional 15 minutes. Serve warm with a drizzle of extra virgin olive oil and sprinkled with Parmigiano cheese. I particularly like to use rice whose starch, along with the creamed vegetables, gives the minestrone a slightly creamy texture. Barley and/or farro require a longer cooking time. If you opt to use one of these two grains, you can add them to the vegetable mixture along with the creamed vegetables, and then cook for 1 additional hour. This Mediterranean recipe is a must try! True! Thank for stopping by. Thank you, I hope it will be be inspiring!